Is your home bursting at the seams? Do you have things stuffed into every available closet, drawer, and cabinet? If so, it’s time to get creative with home storage options. Organize and put away your clutter in creative ways using recycled items, hidden storage solutions, or double duty storage, or built-in storage units. Don’t feel like you have to run out and buy shelving and plastic storage bins when you want to organize your living space. Think about using existing, on-hand items to repurpose for storage, or scout garage sales, rummage sales, and second-hand shops for inexpensive, used items to upcycle into storage solutions. Repurpose old or broken tools into hanging storage, such as using a metal rake head to hang jewelry instead of leaving it in a pile on top of the dresser. Free up the floor space under your kitchen sink with a recycled curtain rod to hang spray bottles up. Used wooden benches stacked on top of each other make useful bookcases or entertainment center. Hide things away with more than just closets and drawers. Make a storage bin to use on your bookshelf with a wooden box and old book spines glued to the front to blend in with other books to store CDs, tapes, and DVDs or journals and other things you want to keep hidden. Make a flip down wall desk that folds back up on the wall for easy hidden storage. Put a chalkboard on the bottom for a handy message center when not in use. 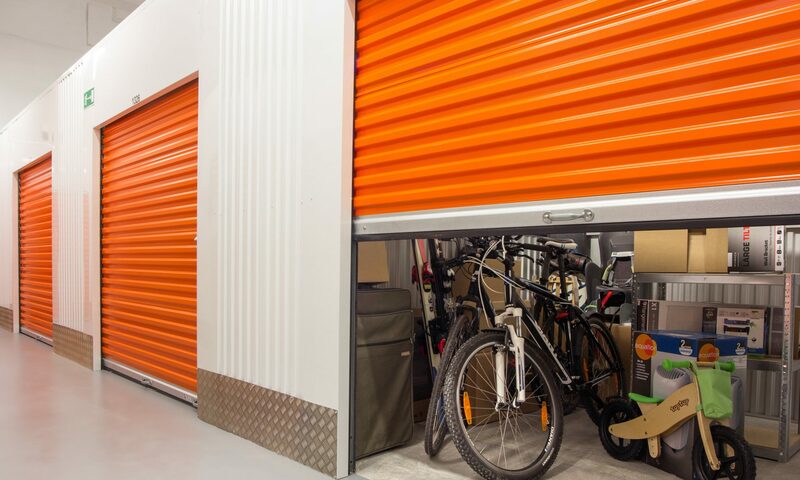 Many storage solutions in your home can do double duty. Turn an old library catalog into a nicely labeled liquor cabinet with one bottle per drawer and mixing supplies on top. Another item that makes a nice liquor storage option is a metal rolling cart. That wooden towel rack that you use all winter to prevent your wet towels from getting mildewed can do the same for hand-washed sweaters. Decorative glass containers do double duty by holding small desktop items together in one place and being a decorative accessory. Plastic shower caddies can do double duty as portable storage when you want to take a few things like a few books or magazines, reading and sun glasses, cell phone, and a drink container outside on the deck or to the beach. Three shutters connected with hinges can do double duty as a decorative room accessory to store and display photos and also screens some undesirable view such as a toy corner or the cat’s litter box. Utilize dead space with a built-in under the bed storage platform for the mattress, adding either storage drawers or putting the bed frame on hinges to easily lift the mattress like a lid. You may want to build an outdoor, freestanding storage unit by transforming something like an old recovered water tower or shipping container. Move awkward units or other heavy salvaged items with rented construction equipment. Build outside storage from other salvaged or recycled materials such as wooden pallets or plastic bottles. Next PostNext Guest Post: Can Storage Benefit Your Removal?